FAIR. 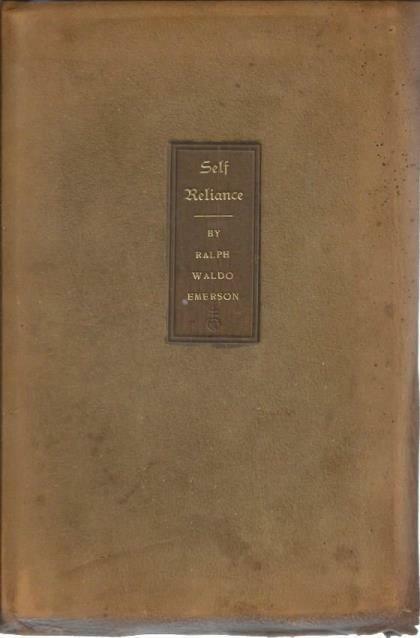 full leather yapped covers, bagged for protection, broken spine, nearly detached covers, covers are disintegrating, no known missing pages, frontispiece intact with wax protector page, covers heavily faded from green to brown, light stains to pages and page edges. VG. 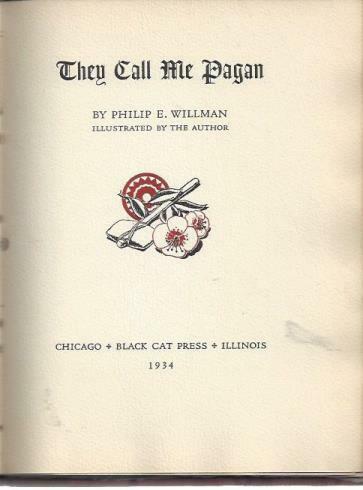 extremely rare Black Cat Press religious/philosophical poetry book of Philip E. Willman, all illustrations by author, brown tape spine with red covers, no jacket, bagged for protection, very light wear and bumps to corners, black and white frontispiece detached (paste has lost adhesion) but included at title page, similarly, all the rest of the illustrations are laid in as well since paste has lost adhesion, the book includes multiple copies of most illustrations.